This is a unique opportunity to purchase an executive 4 bedroom villa built to a very high specification. 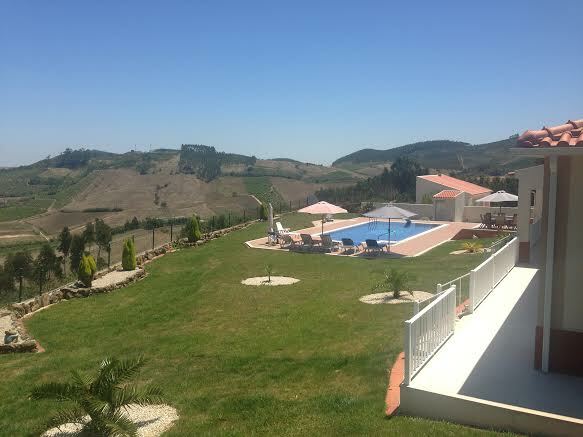 The villa is set on a hill with woodlands and vines on a quiet lane overlooking the town of Vila Verde dos Francos in the municipality of Alenquer on the Silver Coast. The overall area is 5,000 sq m with a total construction area of 204 sq m and was completed in 2008. 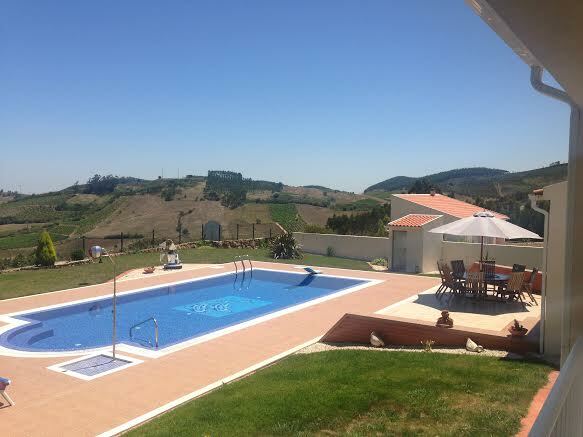 The villa has a spacious living room with dining area from where there are stunning views of the village and Serra de Montejunto, an extensive kitchen that includes a large island with granite worktops, a breakfast bar, wine cooler, bank of ovens, fridge freezer, integral dishwasher and integral vacuum system. The master bedroom has fully fitted wardrobes and an en suite bathroom. There are 3 further double bedrooms, two with fitted wardrobes and a built-in safe. 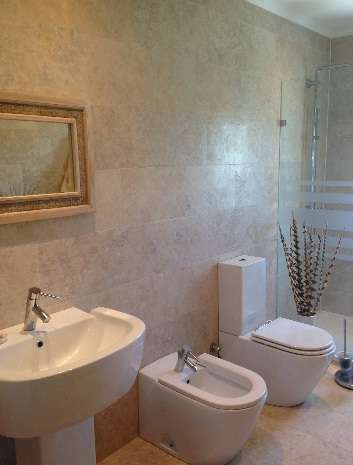 The family bathroom is fully tiled and includes a bidet and double spaced shower. 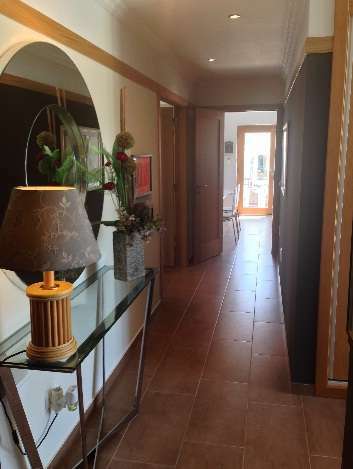 The villa is accessed by electric gates and an intercom system for added security. The outside area has impressive mature gardens with a timed irrigation system, a garage including a utility area, a workshop, children�s sandpit and a second driveway. 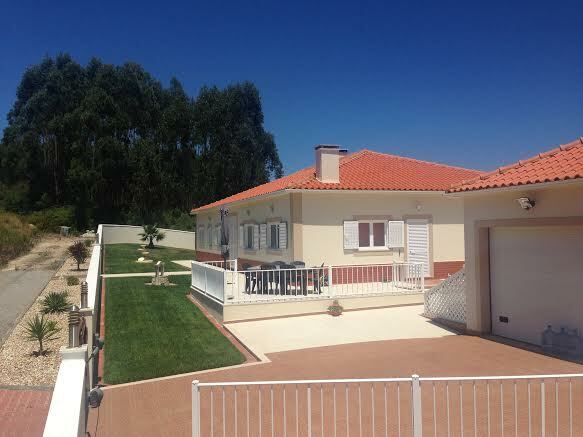 The property has security shutters throughout and external lighting. 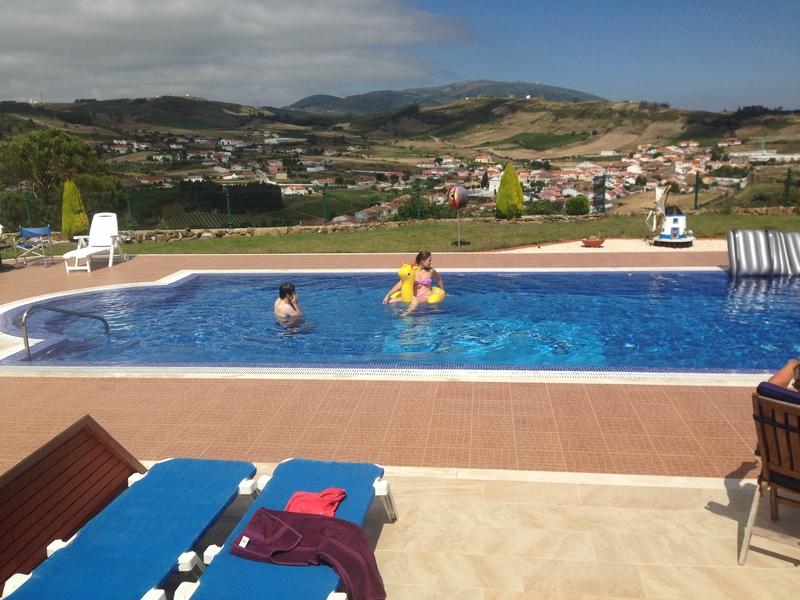 The gardens feature an overflow 11.5 m x 5 m tiled swimming pool which is 1.8 m deep. 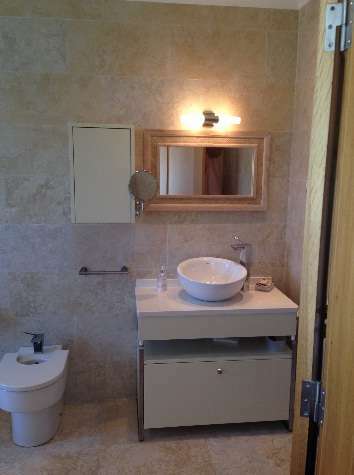 It also has a spring board, spacious seating area and shower. 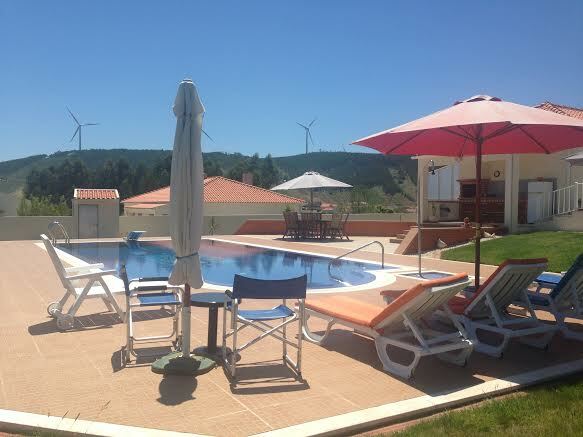 There is a pump/plant room that services the pool and an outside toilet, a barbecue with summer kitchen and large sun terrace. 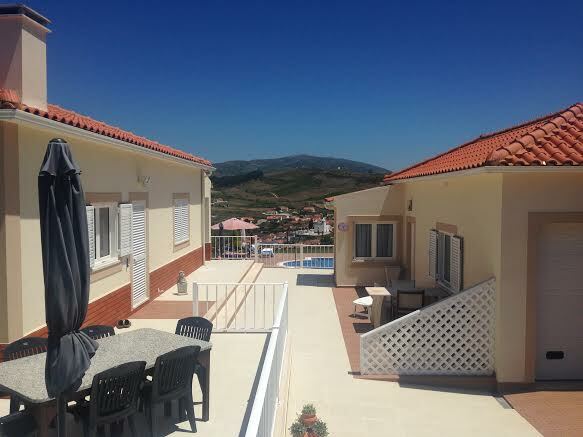 Cadaval is the nearest town with lots of shopping facilities, Torres Vedras is a short drive and has an extensive shopping mall while the local village is a 5 minute walk and is ideal for groceries and every day needs. 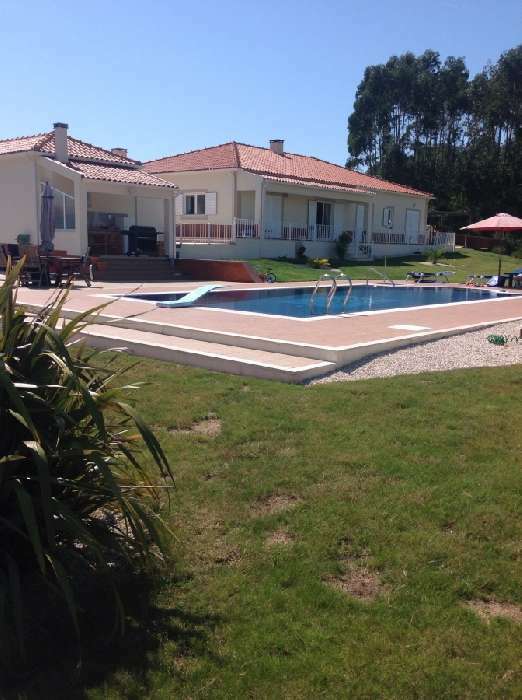 The tourist areas of Obidos, Nazare, Santa Cruz and Peniche are approx 30-40 minutes drive and the popular golf courses are only 30 minutes drive at Praia Del Rey, Royal Obidos, CampoReal and Golden Eagle. 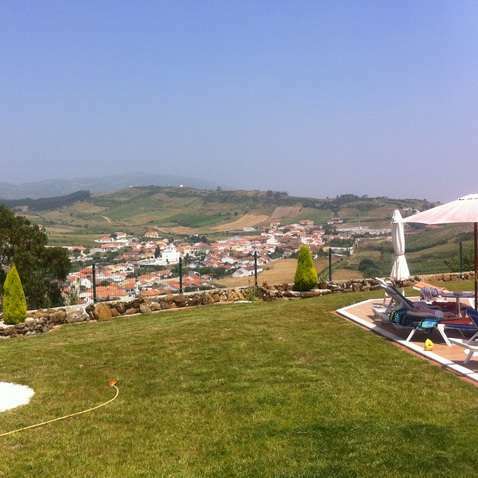 This is an exceptional villa in Portugal which must be viewed to be fully appreciated.